The CT-30A Cleaver sets the standard for portability, reliability and ease of use. 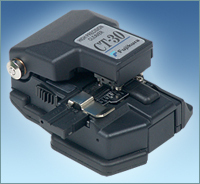 Available for either single fiber or ribbon splicing (up to 12 fiber ribbons) applications, the CT-30A Cleavers are compatible with all AFL Telecommunications fusion splicers. The improved version offers a larger base for a more stable platform, improved visibility when placing the fiber, and three scrap collection options. 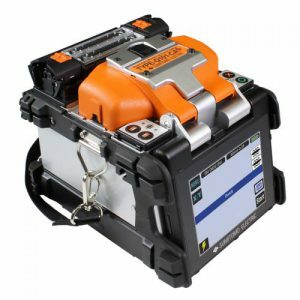 Designed for excellent portability, the CT-30A is equally at home in a splicing van or in a bucket truck and is ideal for FTTx applications. The 16-position blade yields 48,000 single-fiber cleaves, or 4,000 12-fiber ribbon cleaves before requiring replacement, and the built-in scrap collector conveniently stores fiber shards until they can be safely discarded. The CT-30A Cleaver is packaged with three scrap collection options that allow the user to tailor it to their cleaving preferences. The CT30A is delivered with the SC-01 Side Cover installed for users that prefer not to use an automated scrap collection system. 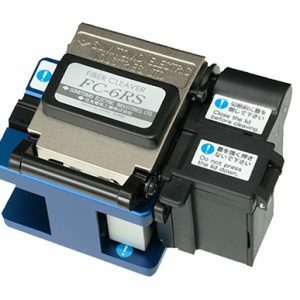 For those that prefer an automated scrap collection system, the FC-02 Fiber Collector and two scrap box options are included. The FDB-02 Scrap Box is a smaller bin for users seeking a compact profile. The FDB-03 Scrap Box is a larger bin with sweeping brush and static resistant surfaces for those users seeking to maximize scrap capacity. All scrap options are easily configured by the user. THE CT-30 IS ALSO AVAILABLE FOR SINGLE FIBERS: 250-900 uM COATING, 125 uM CLADDING. THE CLEAVE LENGTH IS; 900uM: 10-20mm, 250uM: 6-20uM. Condition: Brand NEW FIRST TIME CUSTOMERS – Ask about our New Customer discount! WE TAKE TRADE-INS !!! We RENT and LEASE TO OWN.